Download and unzip the ‘Favo_Child_Theme_UNZIPME.zip’ file to your computer. Locate the favo.zip file in the Favo_Child_Theme_UNZIPME folder on your computer and then click Install Now. When the install is complete click on ‘Activate’, you will then see the Favo Child Theme as the active theme in your theme panel. 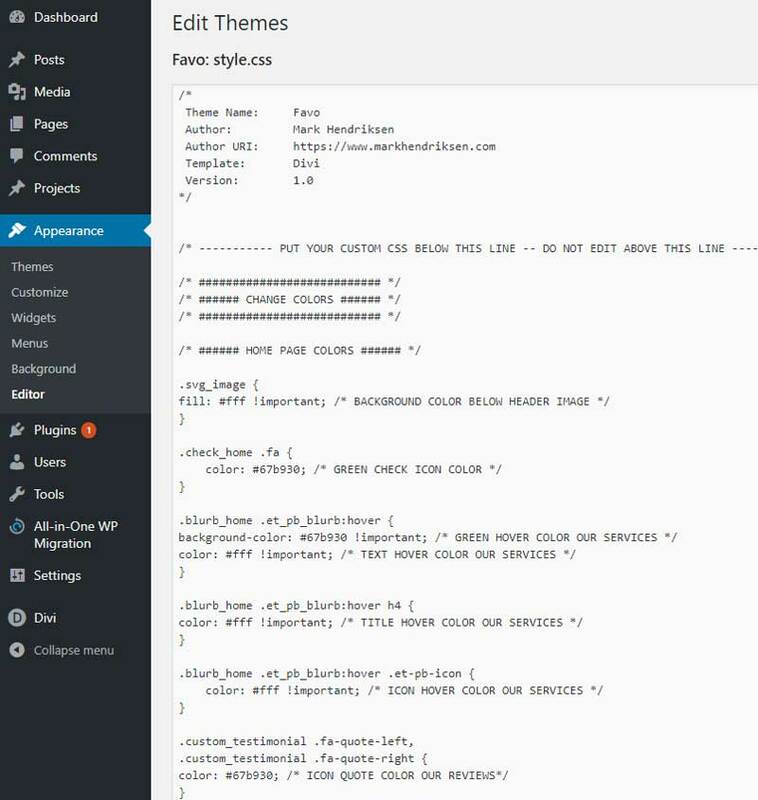 Click on Import and upload Favo Theme Options.json. Click on Import and upload Favo Customizer Settings.json. Click on Import and upload Favo Builder Layouts.json. 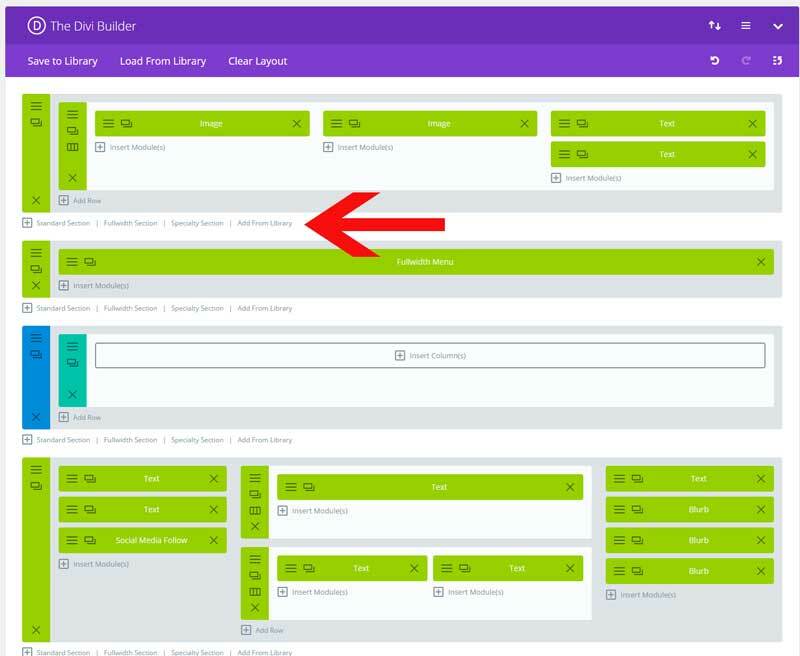 In the Divi Builder Click on Load from Library then click on Add From Library. Here you will find all the pages from the demo. Load the Home page and publish it. Go to Appearance > Menus and create a new menu. Under Menu Settings don’t check anything. 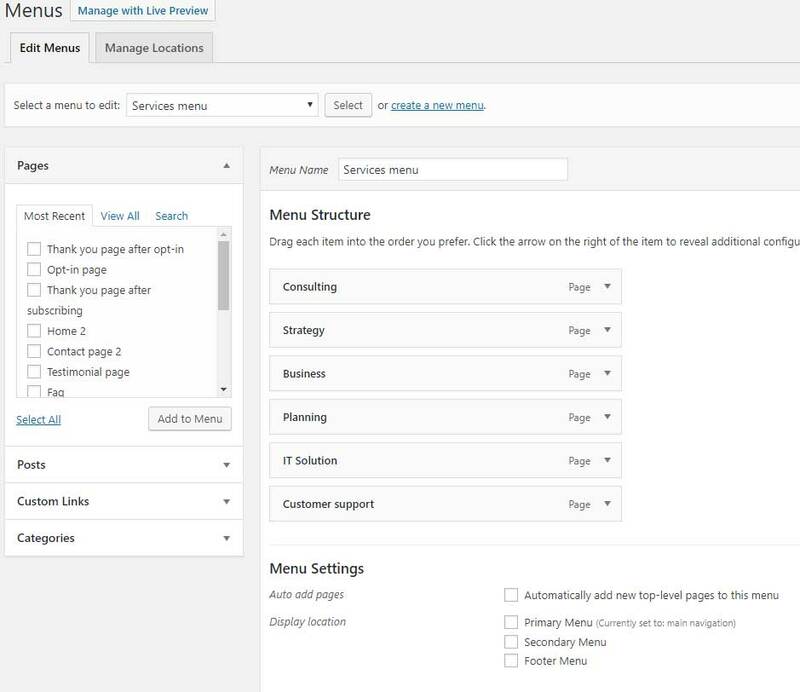 You need to add the services pages as in the image below. Go to Appearance > widgets and create a new sidebar. Add the Custom menu widget and assign your created menu to it. Add the sidebar to your sub / services pages. You need to assign the right menu for the 404 page. Go to Divi > Divi Library and open the 404 page open the Fullwidth Menu Module this is a global section. And choose your Menu. Most colors you can change inside the modules and customizer. The following colors you can change in appearance > editor. Under CHANGE MENU COLORS you can swap the color codes. Click on Add From Library and load the CTA you want. Do the same with the Footer block. 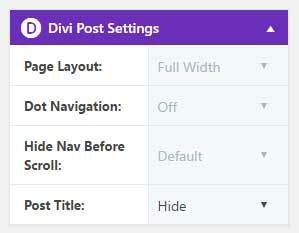 To edit the content of the 404 or category page, you go to Divi > Divi Library.